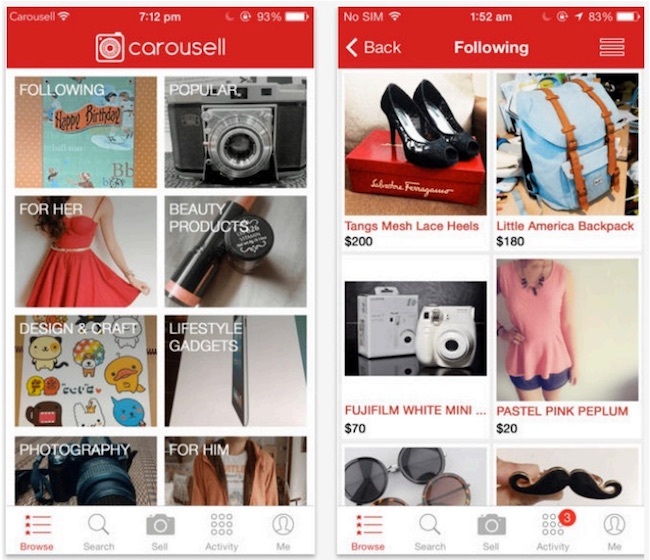 Cheapskates and rude people aside, Carousell is a great place to sell your old clothes, accessories and other trinkets. The “snap and sell” app is literally just that – all you have to do is download the app, snap photos of your item and fill out your listing with item details. Interested buyers can make you an offer through the app, and if you accept it, you can arrange to send the item by post or meet up with the buyer. Pros: It’s free (no listing fees), low-commitment and relatively easy to post a listing. Cons: You will most likely get rude, cheapskate and/or flaky buyers, but don’t let that deter you from using the app. Best for: If your wardrobe is bursting and you really need to get rid of clothes you haven’t worn since 2005. On first impression, Deluxemall may look somewhat shady. I mean, the Alexander Wang forum is titled ‘Alexandar Wang’ you know? However, the forum is one of the cheapest and most effective ways to sell your old designer bags. 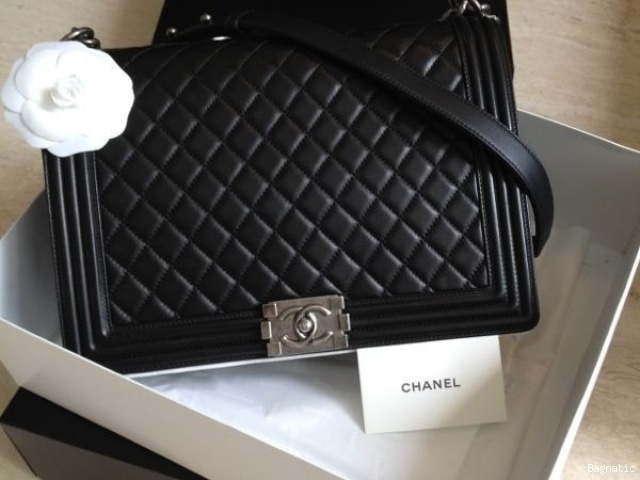 Deluxemall allows members to post their designer bags for sale on the forum, and you can find both high-end brands like Chanel and Prada to mid-range brands like Tory Burch and Longchamp on there. Although there are other similar sites like Bagnatic and BagsXchange, Deluxemall seems to be the most popular option for people buying or selling designer bags. Interested buyers can private message you or contact you via email, and you can discuss transaction arrangements from there. Deluxemall also has a Hall of Shame thread, where members warn others about potential scammers on the site. Pros: It’s free to post a listing, and the site attracts a highly targeted audience. It’s also low-commitment on your part, because you can close your listing at any time. Cons: Unless you have a really in-demand bag (Chanel Boy anyone?) you need to have a detailed listing with good, clear photos. There are thousands of listings on the site, so it’s easy to skip over one that is vague and has blurry photos. Best for: Selling that designer bag you bought on a whim and hardly even used. If you search hard enough, you can also negotiate a trade with another member. 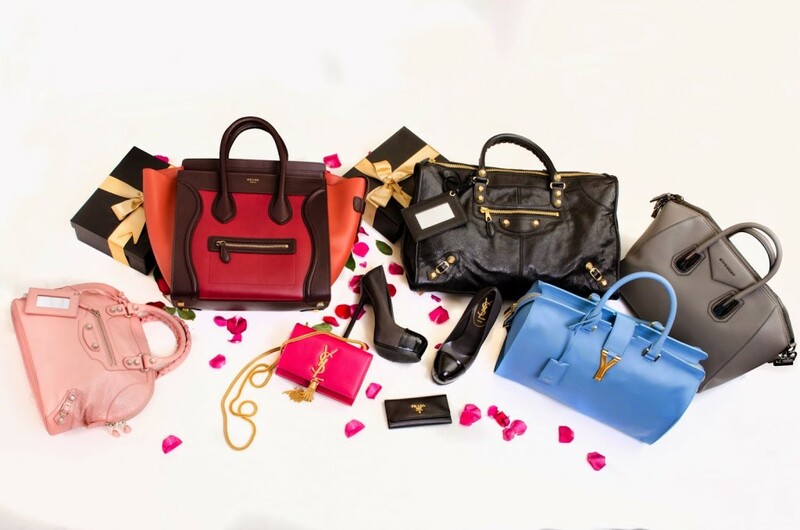 If you prefer to leave the selling to the pros, try Reebonz’s White Glove service. Reebonz will pick up the items from you for free, then have them professionally photographed and listed on the Reebonz site for sale. If your item gets sold, you will get paid within 7 working days. For more information, see here. You can also check out Style Tribute and Bag Borrow or Steal, which offer the same service. Pros: You pretty much don’t have to lift a finger. Except maybe open the door for the courier picking up your item. Cons: Reebonz is kind of selective about items that they accept – you need a minimum of 5 items to sell (or a combined value of $10,000) to use this service. Also, Reebonz charges a commission for selling your items…but hey, it’s a small price to pay for having someone do all the tedious work right? Best for: If you need to cash in on your designer bags, fast. Gumtree is one of the most popular sites in Singapore to post classifieds, so you can be sure that your listing will reach a large audience. Although the site has a section for clothes and accessories, you’re probably better off selling them on more targeted sites like Deluxemall or Carousell instead. Gumtree is great for selling old furniture, electronics or household appliances. If you’re in the market for some new furniture, you can probably also find some good deals on the site. Pros: Posting a listing is easy because you don’t have to sign up for an account. It’s also free to post a listing, but you can pay an extra $1.99 to boost visibility of your post. Interested buyers will contact you via Gumtree, so your email address won’t be disclosed to them. Cons: Your listing expires after 90 days. Also, you may or may not get a handful of weirdos sending you messages. 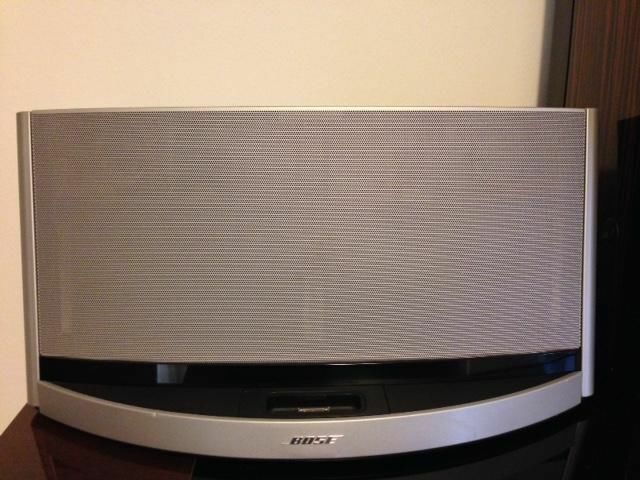 Best for: Selling those Bose speakers that no one uses anymore. Or the random pair of headphones your cousin gave you for Christmas. 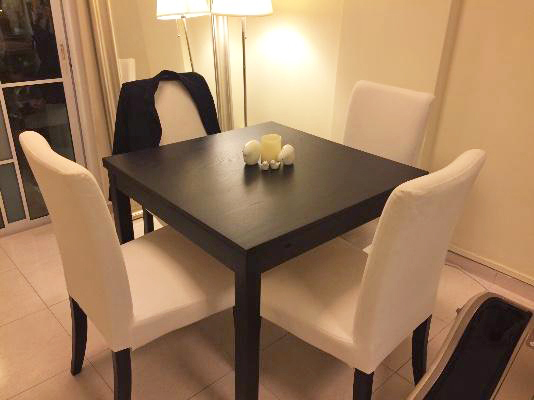 Locanto is another popular site for classified ads in Singapore. Whether you’re selling electronics, homes or even your soul (just kidding, but there IS a Personals section wink wink), Locanto covers it all. To post a listing, you just need to sign up for an account on the site. All pictures, meet-ups and contact information is up to the seller’s discretion. Pros: You can pretty much sell anything on Locanto, as long as your listing is legit. Also, it’s free to post an ad so what have you got to lose eh? Cons: You need an account to post (but it just takes a minute or so to sign up) and listings expire after a month or so. Best for: Selling random items you think might be useful to someone else. What’s that saying again…one man’s trash is another man’s treasure? Kindly advise how it works and what are the procedures? Not for fussy, giving away 2 single thin & thick mattress. self-collect fr pasir ris st 51 (costa ris) . bring yr own transportation as the thin one, is foldable but not the thick..
bring yr own bags or container. its heavy coz thick books. self-collect from pasir ris st 51 (costa ris) no meet-up at mrt. i’m trying to spring cleaning, juz let me know.. what u needed, I can just prepare..
if don’t have the item, will not reply. WHATSAPP NO. +1 (336) 365-3476. IF YOU HAVE ANY QUESTIONS PLEASE FEEL FREE TO ASK. Минут десять анализировал содержание интернет, вдруг к своему удивлению заметил важный веб-сайт. Посмотрите: http://365xxx.net/ . Для меня данный ресурс произвел радостное впечатление. Пока! hello!,I like your writing very so much! proportion we communicate extra about your post on AOL? I require a specialist in this area to solve my problem. May be that is you! Having a look ahead to see you. Merely a smiling visitor here to share the love (:, btw outstanding design and style. “Competition is a painful thing, but it produces great results.” by Jerry Flint. Час назад исследовал данные инета, и к своему восторгу увидел прекрасный вебсайт. Вот ссылка: http://autotema.org.ua/ . Для моих близких вышеуказанный ресурс оказал радостное впечатление. До встречи! hi!,I like your writing very so much! share we communicate more about your article on AOL? I require a specialist on this house to unravel my problem. Maybe that’s you! Looking ahead to peer you.